Your All-Holiness, beloved in the Lord Patriarch Bartholomew; Your Holinesses and Beatitudes; Your Eminences and Graces! First of all, I would like to express my heartfelt gratitude to Your All-Holiness for initiating our gathering, for his organization, and for his warm hospitality. I think that I am expressing the general consensus when I say that we all feel joy from our common prayer and brotherly fellowship in the courtyards of the Holy Church of Constantinople, feeling ourselves to be brethren joined by the union of love. The present day has become for us the spiritual culmination of our stay in the city of St. Constantine: today the Lord gathered us together to offer the Bloodless Sacrifice and to Commune from a single Chalice to embody once again the unity of our Holy Church. This was truly a Triumph of Orthodoxy, a visible expression of its victory. Whenever I am in Constantinople, I always have a special experience. The history of the Orthodox Church took place in this city. This is where the Ecumenical Councils took place, where great saints preached, and where the theological formulations of Holy Orthodoxy were perfected. The history of Constantinople was also glorious and majestic in times of great tragedy. We all know how many trials have been undergone and what efforts have been made by this Local Church to preserve here the flame of faith so that, regardless of difficult circumstances, the name of Christ would continue to be glorified on the shores of the Bosphorus. This can also be rightly said in regards to the other Local Orthodox Churches. Each of them has experienced, or is currently experiencing, hard times. The Church’s path in history is the Way of the Cross, foretold by its Divine Founder and Head, our Lord Jesus Christ. It cannot be said that we have passed through all these trials without consequences and losses: there were and remain manifestations of human weaknesses, shortcomings in inter-church relations, controversy, and mutual misunderstandings on certain questions. 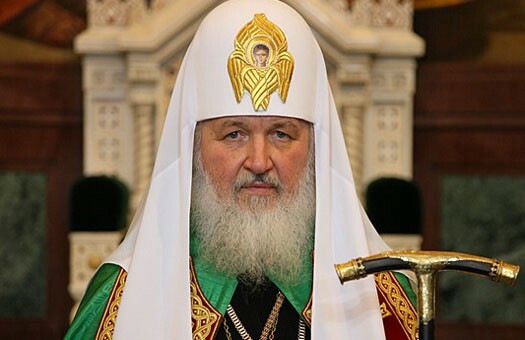 But God’s mercy has allowed us over these past two thousand years to preserve the main thing: the purity of the saving Orthodox faith and our unity. And we need to guard this treasury as the apple of our eye. Only in that case can we successfully carry out our witness and be the light of the world and the salt of the earth (cf. Matthew 5:13-14), being the pillar of the Christian world. Indeed, in our time of general worldliness and secularization, the Orthodox Church remains the firm guardian of the moral norms of the Gospel. Therefore the enemy of mankind takes up his arms against it, striving to sow seeds of discord and disagreement among us. But we must conquer these machinations by humility and brotherly love. Only then can we move forward, including in the convening of the Holy and Great Council – the main question for the sake of which we have gathered during these days in Constantinople. The path to the Council is one of the increase of love and unity. The completed Synaxis has clearly and convincingly demonstrated that it is not the desire for victory and the assertion of one’s own views, but rather respect for other’s opinions, and the willingness to take into maximum consideration the position of each Church, that will lead us to the desired unity of mind and thereby speed up the pre-conciliar process. Our love should also express itself when one of the Churches is particularly suffering. Therefore it was so important to reiterate our fraternal solidarity with the Antiochian Orthodox Church, and with all Christians experiencing difficult times, whether in the Middle East, Africa, or other regions. We are returning to our cathedras with kind feelings, renewed in hope, love, and prayer. In our hearts will remain the warmth and joy of brotherly fellowship with one another from the meetings of the Synaxis, the divine services, and the fraternal trapezas. Let us pray that the Lord would help us in our efforts to prepare for the Council. And may Christ the Savior preserve His Holy Church in peace, oneness of mind, and mutual love!